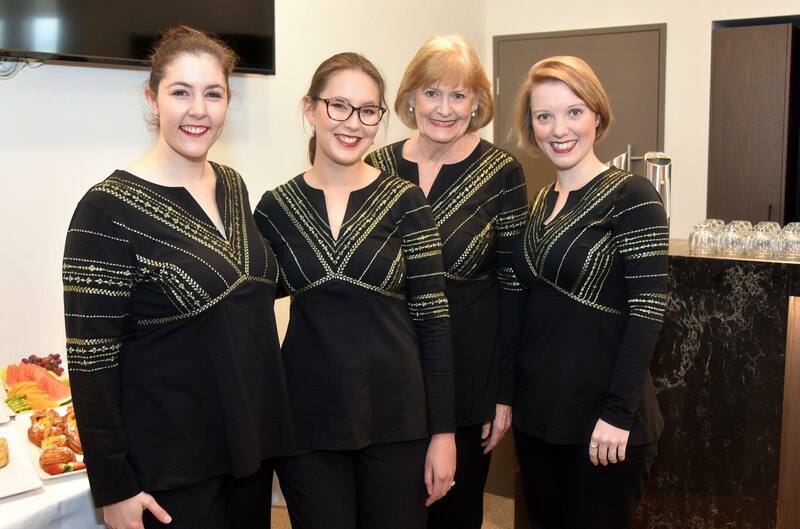 Henrietta, Sam, Emily and Cynthia have seen singing together since the end of 2016. Collectively they have directing, arranging and music, visual and management team experience in Vocal Vibes and Geelong Harmony Choruses. Cadence enjoys good food and wine and entertaining audiences. If you would like to book us for your next function, please get in touch via our Facebook page. 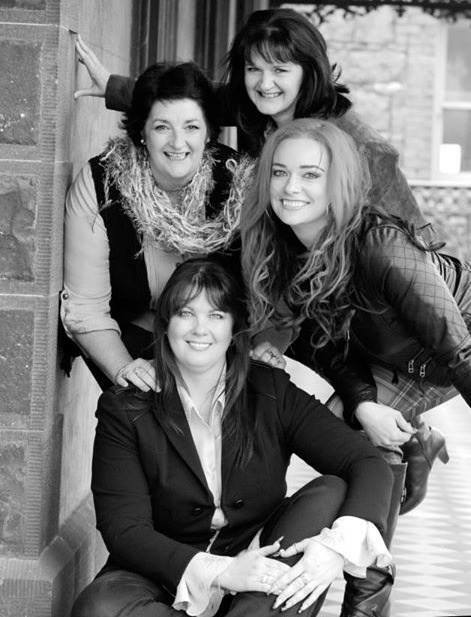 Jeanette, Vernice, Taryn and Liz are four experienced singers from a variety of musical genres. Collectively they have extensive experience in musical theatre, dance productions, choral and acapella singing. Their common interests, friendship, singing and fabulous shoes make for some amazing times spent together. Cha-Ching! would be delighted to perform for you at your special occasions, weddings, corporate and Christmas events. 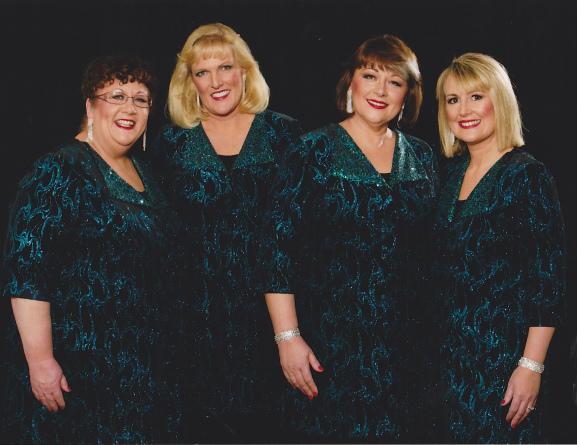 Platinum Quartet formed around Christmas time in 2012 and have recently competed for the very first time at the National Competition in Sydney in May 2014. Made up of three of Vocal Vibes’ Section Leaders and an Assistant Section Leader, Platinum is almost obsessive about singing! But besides all things Barbershop, they also share a love of all things sparkly, and animals - and have 6 cats, 2 dogs and a vet between them! Platinum are available for Parties, Weddings… anything! They love to entertain and deliver their musical stories with empathy and a heaped dose of fun! Contact Debbie on 0404827191 for enquiries and bookings. 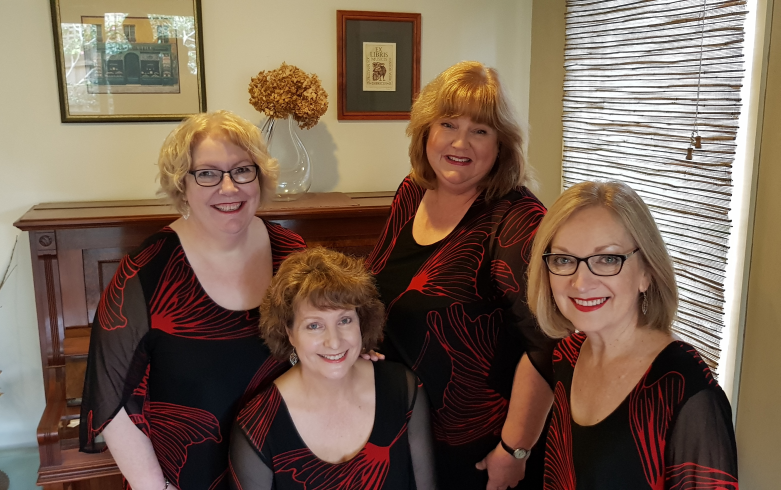 The three founding members of Sass & Vibe, Bev (Bari), Jenny (Bass) and Lynette (Tenor) began singing together at the beginning of 2016 and our lovely Lead Pam joined us in early 2018. As our name suggests, we love lyrics with a bit of “Sass”, and are drawn to fun songs as well as those with a classic barbershop vibe! Sass & Vibe has performed at a variety of social functions and community events.